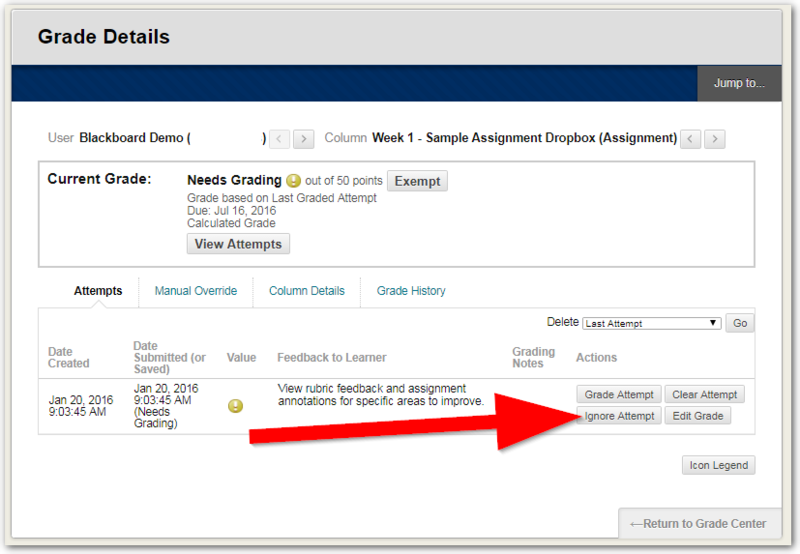 If a student submits incorrectly to an assignment dropbox, or you would like to give them another submission attempt, use the options available in the Grade Center to ignore or clear the attempt. Locate the cell containing the student’s test grade to clear. Move the mouse pointer over the cell to see the action link menu button. Click the action link and select View Grade Details. You will now see the student's grade detail and a listing of the attempts the student made. Click the Ignore Attempt button. 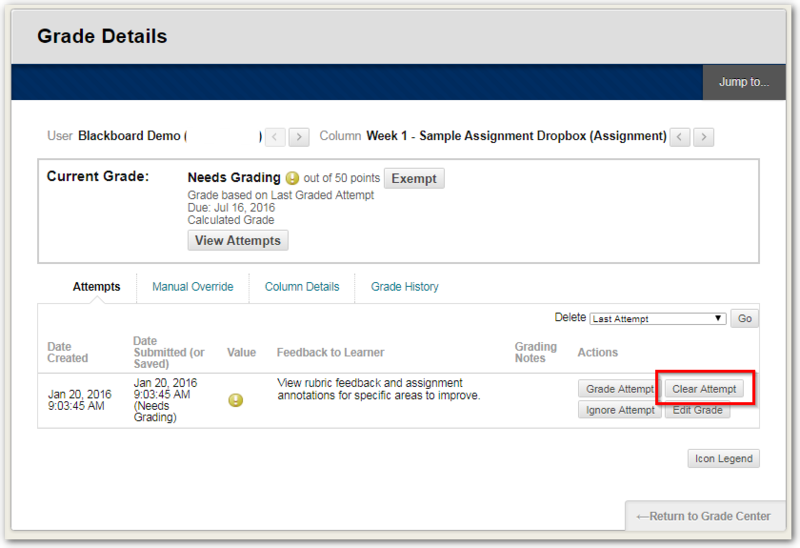 To allow an additional attempt for the student, click on Allow Additional Attempt. 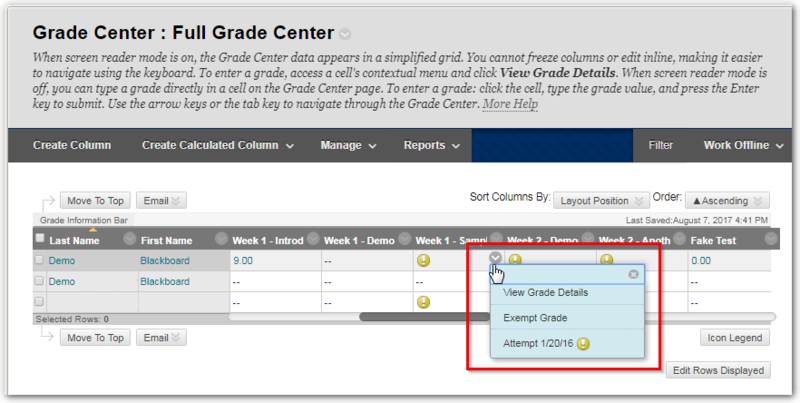 To return to the Grade Center, click Return to Grade Center at the bottom of the page.